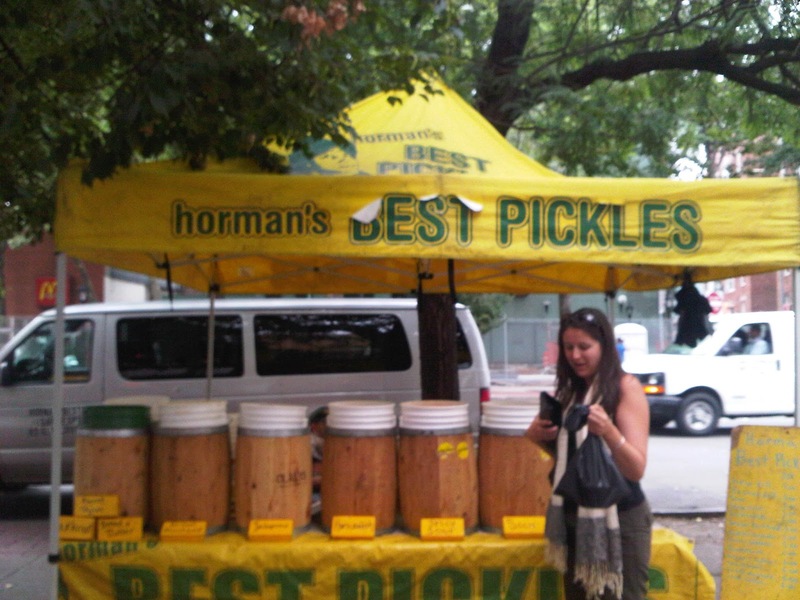 The Fare Critic: Who doesn't love a good pickle? 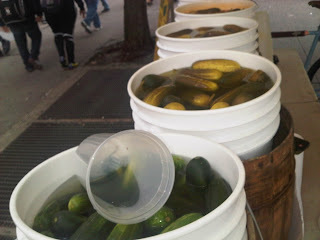 I have a fever and the only prescription is more pickles! 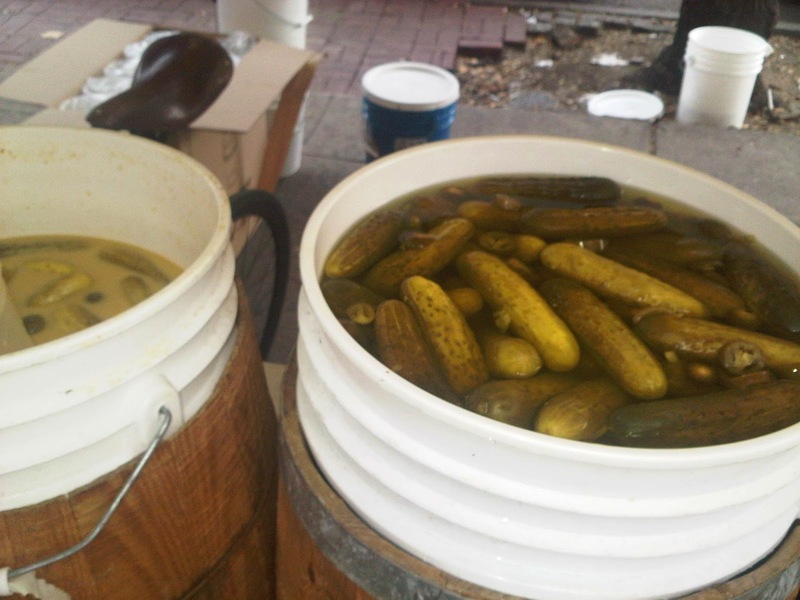 I must confess I have a pickle addiction! My refrigerator is always stocked with two to three different types of pickles at a time and I am constantly perusing speciality grocery stores in the city looking for another type of pickle I haven't tried. 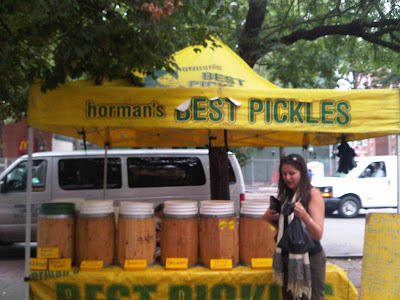 Horman's Best Pickles pitches their tent right on 6th Avenue and Carmine Street. Whether rain or shine they're there Monday-Friday 12pm-9pm. 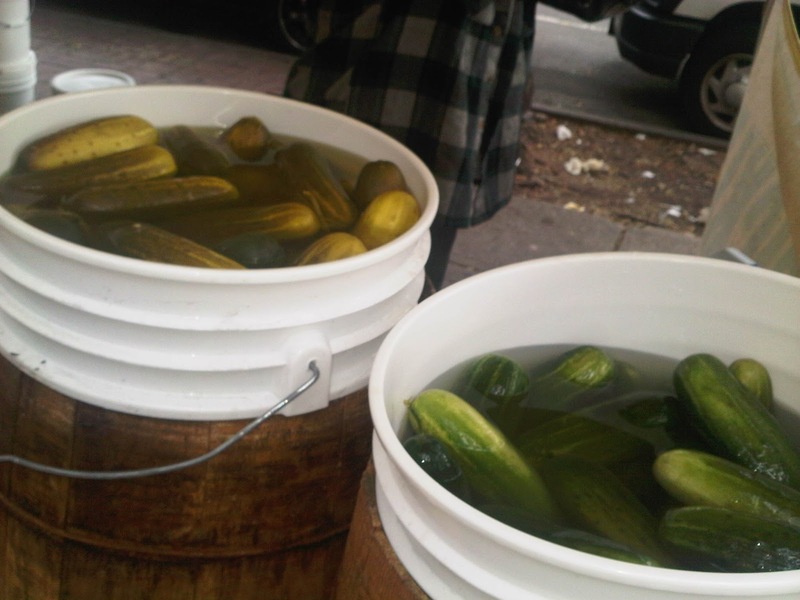 All of their flavors are brilliant and the pickles are as fresh as fresh gets! 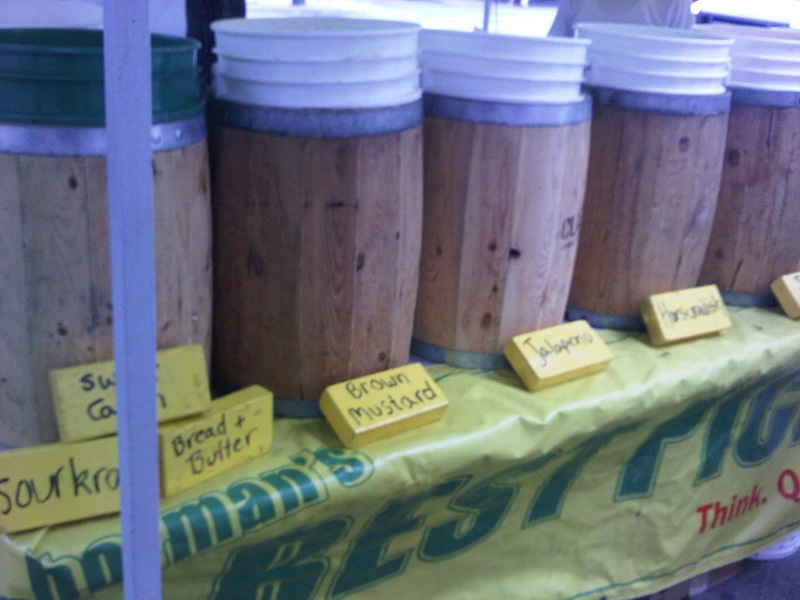 This company has put their own stamp on the pickling world with unique flavor offerings such as spicy sour pickles, horseradish pickles, jalapeno pickles and brown mustard pickles. Pickles sell for $5-$6 a pint or $7-$10 a quart...or you can walk away with one on a stick for $1. Check them out and get away from all of the artificial flavor and coloring that are in the pickles you buy from the grocery store! Hi ther! My name is Eddie and I work for a pickle company out of Boston, MA.. we will be at Pickle Day in the Lower East Side on orcahrd st Sunday October 27th! 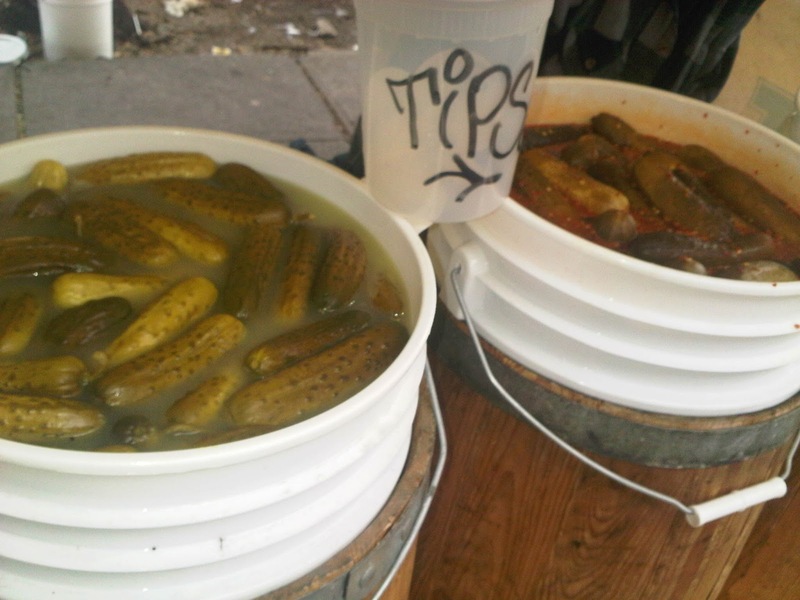 you should come thru and review our pickles! if not i'd love to send out some pickles to an address.. if you are interested hit me up at eddie_a23@yahoo.com thanks! You can attach a bay sheet or two. But, for us at slightest, the indulgence is how you can bounce the entire over and pay to get research paper done still build a ideal pickle snack.